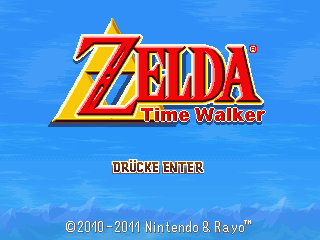 I have been working on this project since 2010, but until 2011 I worked with the RPG Maker 2000. Now (since 2011) I am working with the Game Maker. This Technical demo includes a zelda dungeon to explore with a lot of monsters and puzzles. Furthermore I am planning to enter with this demo to NCFC, therefore I will put up a technical demo before the 23'October. Note: This is currently a German fangame, but I am working on an English version. This page was last modified on 2 October 2016, at 19:12.